Alan Wald's review of Fire and Blood: The European Civil War, 1914-1945 was first published in Against the Current. The most menacing revenant from this “Age of Extremes” (as Eric Hobsbawm called it) comes to us in the shape of a spectacular growth of the Right across most of the same continent, with counterparts in the United States not hard to find. Reactionaries now as then traffic in a political imaginary of noxious aliens in their midst — non-Aryans, non-Christians, immigrants — and rally around a mythologized distinctiveness of their national cultures and threatened traditions. New systems of violence are unleashed, and talk of the deportation and even annihilation of populations marked by religio-ethnic difference is being heard again. Are we facing the latest staging of a persistently revived historical drama? As a mirror held up to the present, the non-fiction horror story that is Fire and Blood has the merit of never pretending to offer prophetic forecasts or conclusory admonitions; there are no ready-made answers for the new millennium. Rather, it commends a model and method for how to analyze a disaster that profoundly affected all that came after; the point of the book is how this past with a genetic link to our present is remembered and interpreted. We are in an exceptionally new situation, but elements of older experiences may clarify our vision if one finds the proper means of access. Traverso, an Italian-born former Parisian professor now teaching at Cornell University, throws down the gauntlet to the current academic and public treatment of these earlier decades. Several of his previous books — especially The Marxists and the Jewish Question: The History of a Debate (1990; English translation, 1994) and Understanding the Nazi Genocide: Marxism After Auschwitz (1999) — addressed in detail Marxist approaches to the problem of anti-Semitism as history marched toward the 1941-45 slaughter of the European Jews. He has contributed an article on “the European Cataclysm” to Against the Current. This is a construct often associated with Paul Preston’s The Spanish Civil War: Reaction, Revolution, and Revenge (2007). The deep national roots of the conflagration were intertwined with continental-wide battles: between modernity and conservatism; concerning regional autonomies and imperial tradition; pitting the urban proletariat and peasantry against capital and landed property; and civil wars within civil wars triggered by the triangulated relationships among Communism, liberal democracy, and fascism. A principal incentive for Traverso’s new embrace of the argument is to contest those scholars and popularizers who evaluate the brutalities of the period by accentuating near-metaphysical totalitarian evils of the fascist Right and Marxist Left, the dangers of ideology, and the virtues of absolute liberal principles. Collectively, such approaches obscure the actual choices faced by humanity in a full-scale state of catastrophe. The political term “totalitarian” emerged in the 1920s to describe a one-party despotic state; after World War II, the German-born emigré political theorist Hannah Arendt inaugurated a stimulating debate about the degree to which systems such as German fascism and the post-Lenin Soviet Union were updated versions of old tyrannies or new forms owing to the role of ideology. In the Cold War, however, “anti-totalitarianism” took on a life of its own as a makeshift doctrine that subsumed Communism into Nazism. The former’s tradition of anti-fascism was nearly erased, and the conflation of the two facilitated harsh international policies toward and domestic repression of the entire Left — including nationalist movements aiming at decolonization. Many other Left-wing books have explored this phenomenon, but a distinction of Traverso’s volume is that a diversified antifascist culture, vital in the history of endeavors to animate a radical socialist mobilization since the 1920s, receives equal space in many of its complexities. To illuminate the concrete relations between violence, culture and politics in years of escalating terrors, Traverso presents a Marxist notion of Europe as a continent torn apart by a civil war (including revolution and counter-revolution) from 1914 to 1945. Ethical and historical categories are not the same, and Traverso’s shift in template brings the interconnections between politics and culture into thrillingly sharp focus. His morally intricate story is especially instructive for those of us who aspire to harmonize hopes and struggles across national borders, revitalizing revolutionary socialist culture through an internationalism from below. Which brings us to the other half of the book’s paradigm: Traverso’s examination of the challenging “antinomies” of the antifascist tradition that evolved in response to the growing power of the Right. Antifascism, persisting to the present in beguiling and sometimes perplexing recollections, to my mind incongruously recalls facets of Susan Sontag’s celebrated contention in her 1974 essay, “Fascinating Fascism.” Antifascism, too, is a multifaceted mode of political practice as well as an aesthetic, together subject to a sequence of misapprehensions. With fascism, according to Sontag, the perceptual subterfuge is due to a curious retrieval of pilloried cultural styles of the past; with antifascism, according to Traverso, the perpetrators of misperception are the distorting prisms of Communism, liberalism and anti-totalitarianism. Yet Traverso, who personifies critical autonomy within a committed Left stance, often sees partial truths in the claims of adversaries such as Furet; he will even quote from the notorious Le Livre noir du communism (1977) if there are facts he believes accurate. (51) The effect is that there are no rocks he refuses to turn over as he confronts, rather than flees from, what blinkered minds may find unsettling about antifascist theory and practice. Just as he holds that, after Hitler’s rise to power in 1933, the political commitment of the Left could only find outlets within the broad antifascist movement in which Communists played an outsized role, he simultaneously seeks to reclaim the defeated and marginalized Left traditions he often cites in passing. Fascism itself is a famously elastic term, often a scare word, or simply inflammatory “red meat” for all sides of the political spectrum. It is true of course that anyone who has read about the menacing radio broadcasts of Father Coughlin in the 1930s knows that the United States is hardly immune to the poison of fascism, and there are currently a few parties in Europe of a neo-Nazi character (Golden Dawn). Moreover, it is natural to respond to new explosions of vile reaction based on what we think we have learned from earlier ones; nobody wants to trip over the same rock twice. Yet brandishing the name “Nazi” in a reckless and incendiary manner is no solution. Neo-conservatives in the United States parse “Islamofascism” through mental structures governed by Munich and Pearl Harbor; should the Left now imitate them by explaining the Right-wing populist Donald Trump and Tea Party from an eighty-year-old vantage point? This was a remarkably distinctive time from our own. Back then, the rule of industrial capitalism could only be maintained by mass terror in Germany; Communists controlled a huge country, the Soviet Union, and were on the offensive in the millions; and the appeal of Nazi political principles and culture to its middle class base was that Hitler projected a futuristic new world run by a race of supermen. Do we really need to pull our volumes of Thucydides off the shelf to recall that passions overriding lack of careful thought lead to bad outcomes? Things today must surely be called by their correct names, including ugly ones, but a serious calibration of the social basis of political forces amassing on the Right, their ideology, and presently-existing structural determinations are what should govern terminology; not just rage and disgust at the bigotries of Right-wing populism and religious fundamentalism. Along with a number of other recent publications, especially Leo Panitch and Greg Albo’s The Politics of the Right: Socialist Register 2016 (2015), featuring Geoff Eley’s indispensable “Fascism Then and Now,” such rigorous, activist-minded thinking is a precondition to forging the new political instruments that we need. The study of previous political forms gives our present a past, and such books stand as a rebuke to those who, even for the best of reasons, rush into the minefields of complicated earlier moments in a frenzy that can produce tendentious conflations. For Traverso, terrific craftsmanship, kinetic prose, and dazzling competence as a scholar combine to clarify how the keys to intelligibility of the roots of the age of dictatorships and the holocaust can be muddled by a historical revisionism we must overcome. This is accomplished by grounding his treatment in the longer view of history commonly associated with the less economic-determinist renditions of Marxism, expressly identified with Isaac Deutscher and Arno J. Mayer. In his chapter “Commencement,” for example, Traverso explains that the three decades telescoping the two World Wars “has two ancestors: the Thirty Years War of 1618-48 and the French Revolution a century and a half later…” (30) In “The Anatomy of Civil War,” he then describes how and why the ideology of the Bolsheviks became deformed in a manner parallel to that of the Jacobins. Other chapters demonstrate that the World War II Allies were fully complicit in a “War Against the Civilians,” committing crimes against non-combatants even apart from the fire-bombings and atomic destruction of Japan. In “Judging the Enemy,” Traverso takes us through the distressing process that led to the European victors’ eventually setting free “with or without a formal amnesty, almost every prisoner accused of fascism and collaboration, often reintegrating them into the state administration.” (146) Despite declarations of “Victory” by the Allies in 1945, there was no happy ending to this story. The second half of the book is called “Cultures of War.” It begins with the brief “Eruption,” grounds itself more substantially in “Imaginaries of Violence” and “The Critique of Weapons,” and comes to an astonishing crescendo in “The Antinomies of Anti-Fascism” in which brilliant insights stimulate us repeatedly like shots of espresso. As to whether Traverso’s civil war concept can help us understand the relationship between violence, culture and resistance, his survey of the impact of the Great War on European culture should alone settle the matter forcefully. Traverso’s very opening pages on the premonitions of this coming catastrophe draw the reader inexorably into the web of analysis he spins. Then, writing with a breadth of cultural reference and literary flair, his gripping details — about H. G. Wells, Giovavanni Papini, Arnold Schönberg, Filippo Marinetti, Siegfried Kracauer, Stefan Zweig — come to life with the narrative momentum of a novel. Among his acute observations are those about “the hidden emotions of a social world disfigured by violence” which is the concealed “face of countless monuments commemorating the fallen that were erected throughout the continent” (174). A characteristic example is the Käthe Kollwitz war memorial in Belgium, which shows not violent death but parents weeping over a tomb. Traverso next enters the moral and psychological world of the interwar decades to explore the further cultural consequences of the violence unleashed. Erich Maria Remarque, Louis-Ferdinand Céline and Walter Benjamin are only the first of a long list of his subjects addressing fear and death in fiction, photography, film, historiography, psychiatry, political theory, painting and sociology. A subsection considers nationalist models of masculinity and the evolution of female depictions from “violated woman” to “horizontal collaborator” — “which inevitably involved both moral stigmatization and physical humiliation: head-shaving as a popular spectacle.” (215) His allusions are numerous but each clicks into place with the precision of a Swiss watch. Turning more specifically to the challenges confronting intellectuals in the “Political Age” of the 1930s, Traverso uses a second long chapter to once again pursue the historical approach of moving from “prefigurations” of political poles (as in Thomas Mann’s 1920 The Magic Mountain) to the historical conjuncture in which Communism and fascism seemed to be the principal solutions to a catastrophic crisis — one that liberalism helped yield and could no longer contain. With a Jamesian capacity for analytic nuance, Traverso revisits several famous literary encounters — Walter Benjamin and Carl Schmitt, Victor Serge and Leon Trotsky — to produce treatments that are as lucid for the novice as they will be illuminating for the specialist. His succinct but stabbing conclusion contains meaningful if unnerving words from Trotsky, the “enigmatic figure” who was both “inflexible dictator and persecuted revolutionary.” In response to one of the most compelling critics of Bolshevik morality, Traverso notes: “At bottom he [Trotsky] was not wrong to ask what [Victor] Serge wanted: ‘to purge civil war of the practices of hostages or to purge human history of civil war. '” (253). This point is so germane to the excruciating paradoxes of Traverso’s book as to deliver a contact high. To be sure, the primary question for antifascists of the 1930s, or any other time, is whether one will submit to (or cooperate in) the imminent violence of others, or resist by force of arms. Nonviolent means of struggle for social change are preferable wherever that is possible, so the question of accurately recognizing authentic fascism, with its instantaneous brutality ruling out nonviolence, is a necessity. This and several analogous developments hit like a sledgehammer as a call-to-arms for the historically-minded Left. Clearly there are areas of contemporary political and cultural life where stating the obvious has become an underrated skill: some civil wars are worth waging, and sides have to be chosen. What ensues after a commitment to armed struggle, of course, is not a simple matter, as Trotsky’s challenge to Serge points up. The “Prophet Outcast” advocated the use of historical understanding to promote social transformation to permanently eliminate oppression, and he remained suspicious of abstract moral codes that no one actually follows in civil war. This makes sense, but, then again, later history provides reasons to be far less confident than Trotsky about the capacity of even a tried and tested genius to forecast the means that in point of fact will lead to desired ends. Traverso, too, recognizes the dilemma. Purity — the programmatic catechism of sectarians — was never an option, and “real, existing” antifascism is an indispensible heritage of which the imperfections must be studied. Traverso’s chapter “The Antinomies of Antifascism” explains the genealogy of the movement in a manner that allows us to further understand why some degree of acceptance of co-operation with Stalinism was so plausible at the time, and why antifascism is hardly reducible to Stalinism. Antifascist culture emerged in the 1920s, prior to Communist interest, and was never entirely coterminous; in fact, the Soviet leadership’s 1935 turn from “Third Period” ultraleftism in the direction of the antifascist campaign was an adaptation to a growing movement from below. Thus a political and ideological cohabitation within antifascist culture existed from the beginning in Italy and into the early postwar era — social democrats, anarchists, Trotskyists, liberals, nationalists, and more. Nevertheless, relatively few once radicalized around antifascism could resist the magnet of Communism. Liberal institutions in Europe were incapable of fighting fascism until World War II broke out, and the United States intervened only when attacked by Japan. The convictions of the Communists, their will and vision of universal emancipation linked to ideals about the land of the October Revolution – even though the Soviet state was dramatically weakened by Stalin’s execution of the historic leaders of the revolution and the military — became nearly as decisive in the fight as the material resources of the Red Army. Communists, not liberals, were the primary inspirational force behind 1930s resistance in Germany, Italy and Spain, and then in the 1940s among partisans throughout the continent. A second puzzle developed in antifascist culture around the issue of what Max Weber called the “ethic of conviction” as distinguished from the “ethic of responsibility.” Should the Resistance act to hurt its enemy wherever possible, even when victory is a long shot; or should it hold back if some actions may lead to worse things (typically mass reprisals), despite intentions? Today, in human rights discourse, the contrast might seem to be between those willing to sacrifice lives of civilians for a utopian cause as opposed to those simply “concerned for real human beings.” Should the goal have been the long-term liberation of humanity (utopianism) or the short-term object of aiding victims and preventing more casualties (humanitarianism)? For evidence of this, he cites the debate within the Jewish Resistance that preceded the April 1943 Warsaw Ghetto Uprising. The armed Resistance had no chance of success and might even be judged by contemporary liberals as fanatics immolating themselves for a hopeless cause; yet their rivals, the leaders of the Jewish Councils who miscalculated that their personal collaboration with the Nazis would surely save more lives, are not the ones we honor today. Nevertheless, it is precisely in the area of “the Jewish question” where Traverso posits a strong criticism of antifascist culture. To be specific, the fate of the Jews did not appear particular and prophetic. Antifascists saw anti-Semitism as part of a Nazi regression to Medieval irrationalism and obscurantism, and refused to disentangle the Jewish disaster from the overall misery of the colossal carnage that left Europe in rubble. To acknowledge something new, different and modern in Nazi anti-Semitism is not the same as a Judeocentrism that refuses to fully recognize the monstrousness of non-Jewish killings among Russians, Poles and others, or that the German people were also victims of fascism. Rather, this incapacity to grasp the war against the Jews as distinctively foreboding is judged by Traverso to be the mark of an incapacity to apprehend fascism itself as the child of modernity, albeit a reactionary variant. Contrary to an Enlightenment credence in the progress of civilization, genocide against the Jews was no anachronistic relapse but a part of the forward march of history. Genocide was the product of an industrialized and bureaucratic new world that was already, and would continue, subordinating weaker peoples with the kind of technological and instrumental rationality at work in the death campus. In Traverso’s view, the same kind of uncritical loyalty to the 19th century idea of progress that led to seeing Nazi anti-semitism as one of many ephemeral throwbacks also lay behind the illusions about Stalinism in antifascist culture. Communists as well as liberal fellow travelers could interpret the actions of the Soviet Union as a kind of Enlightenment on speed, perpetually in a state of emergency; the struggle for progress coincided with the defense of the Socialist homeland. Yet today we are still faced with a cascade of violent tragedies engulfing millions that can be traced to modernization projects such as the capitalist restructuring of the 1970s and globalization. They feature technologically facilitated massacres by drone attacks as well as suicide bombers recruited through the internet; previously unimaginable mass migrations under acute duress; and racialized propaganda campaigns once again targeting refugees, immigrants and the stateless. Fire and Blood is the gleaming work of a scholar at the pinnacle of his craftsmanship; there are only a few places where the book briefly derails. Some readers may be disoriented by Traverso’s occasional use of “totalitarian” to characterize Stalin’s Soviet Union (10, 270), which seems to contradict his disparagement of the totalitarian model as the means by which attributes of fascism were transferred to communism after World War II. Another matter that could use a fuller exposition is Traverso’s view of the Popular Front, to which there are surprisingly few direct references. He is unambiguous about the impotence of liberalism in the crisis of the era, but far less searching about the limitations of the prevailing cross-class alliance. Fire and Blood does not tell us “what to do next,” but gives us a past that opens up the future to informed innovation. Much of the narrative seems to point back to roads not taken and decisions not made. To create a radical present, then, contemporary rebels need to look beyond conventionally-acclaimed success stories to the revolutionary traditions that Stalinism and liberalism have done their utmost to bury. My sense is that Traverso himself signaled a desire to emulate one of the great heresiarchs of this legacy in his opening commendation of “the limpid prose of Isaac Deutscher… borne by the winds of history with its torments and contradictions.” (10) Mission accomplished! 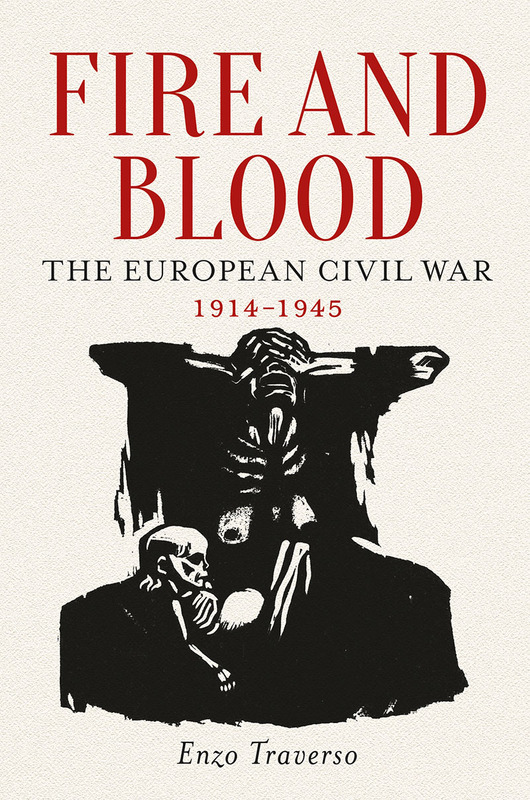 Enzo Traverso's Fire and Blood: The European Civil War, 1914-1945 is out now.